Annoying by call dropping problem on OnePlus 6 Oreo while making phone calls? Let see some of the possible solutions to fix OnePlus 6 call dropping issue. One of the most common reasons of call drop problem is “network signal drop” or “poor network connection”. In other phone call related problem, user can’t hear other person sound or call disconnect automatically. Suddenly network drop is the reason to not making calls or poor sound quality call problem in OnePlus 6 Oreo 8.1 or other devices. Several users facing call drops issue even use speakerphone in phone calls. Also can’t make or receive phone calls in OnePlus 6. 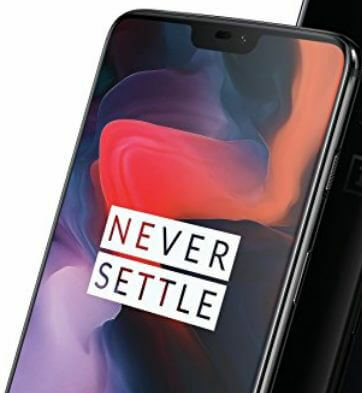 Check out below given possible solutions to fix call dropping problem on OnePlus 6. Irritate by automatically disconnected call or calling issue on OnePlus 6? We surf the web and found below given troubleshooting solutions. Apply it in your device to fix issue. One of the simplest solutions to fix problem is reboot your device. Press & hold the power button and tap restart. After restart your devices, try to make phone calls and check fix issue or not. System software updates will fix critical bugs and improves performance of your Galaxy S9 & S9 plus. Check in your device if available then update it. If poor network signal strength in your device, you can’t make or receive phone calls or can’t hear call. Find nearby place that have good network signal to make phone calls in your OnePlus 6. Step 2: Press & hold the volume down and the power button at the same time until the phone vibrate. You can see Android system recovery screen in your device. By default start button show. You can see the screen of android robot exclamation mark with red triangle icon in your device. Step 5: Press & hold power & volume up buttons same time to scroll to wipe cache partition, press the power button to select it. This message view on your screen: Wipe all user data? Step 6: To confirm, press volume down buttons to scroll to Yes and press the power button to select it. Clearing the cache may take 2-3 minutes. And that’s all. End the list of possible solution to fix call dropping problem on OnePlus 6 Oreo. Do you know any other solutions? Share with us in below comment box. Stay and connect with for latest updates.